I read the following article by Michael Chambers in The Conversation (8 January) and found it offers some helpful and interesting insights for parents about helping their children to make and maintain friendships. Secondary school can be a lonely place for adolescents who don’t have a best friend or a group of trusted friends. Young people will be more skilled in the art of making genuine friends (and keeping them) if they know how to be assertive, are optimistic about life, have some basic social skills and have a relationship with a parent/carer that includes honest talk. Secondary school, in particular the junior secondary years, coincides with a time in life when young people are pushing new social and family boundaries. The transition to secondary school is especially demanding as once dependent kids become more independent in a new schooling order of new routines, new teachers, and new friends. Young people can be unpleasant and unkind to each other and to some adults in this stage of life. Being bullied, teased and left out are signs of friendship troubles. Understandably, victims of bullying feel less positive about the school environment. Being assertive can help young people in not only sticking up for themselves, but it can also communicate to others a sense of self-assuredness. Assertiveness involves polite but firm talk, eye contact, and controlled behaviour. It’s not to be confused with aggression which often takes the form of a raised voice, insults, put-downs and greedy behaviour. One way adults can foster assertiveness in young people is to encourage it in the safe environment of the home. Young people can practice assertive language and behaviour when they explain to siblings that their room is not a public thoroughfare, when they defend their right to use the bathroom by themselves but in a timely way, when they argue they need quiet and time alone to complete homework. Grief and tears about friendships seem to be inevitable in the secondary school years. At some stage, your child is likely to come home either gloomy, withdrawn, or moody. They may even experience a feeling of not wanting to go to school, or are reluctant about going to school. An adolescent who has a positive mindset is more likely to bounce back into the usual routines of friendships. When a young person has a positive mindset, they tend to see setbacks and troubles as temporary. They identify them for what they are (specific, time-related issues) rather than for what they are not (global and eternal). That is to say, positive kids are more likely to identify a specific and reasoned account of friendship troubles (“Sally was mean to me today because she was in a terrible mood”) rather than a global and exaggerated account (“Sally is mean, she has always hated me”). You can foster a positive mindset in your child by modelling and encouraging positive self-talk in the home. Expect your child to be looking forward to something each day at school. That might be catching up with friends, a particular class in school, sporting opportunities, being involved in service activities, or even an assignment or test! Optimism is one of our school’s core values. Adolescents are more likely to fit in and make friendships if they are seen to be socially acceptable by their peers. Ask yourself if your child is comfortable with and knows how to enter a group situation and greet friends. Does your adolescent mix with friends on the weekend and outside of school? Does your child talk about their friendships at home? How many of your child’s friends do you know well? Poor social skills can lead to increased loneliness in adolescents. Being accepted is a strong driver for secondary students. But being authentic is even more appealing. 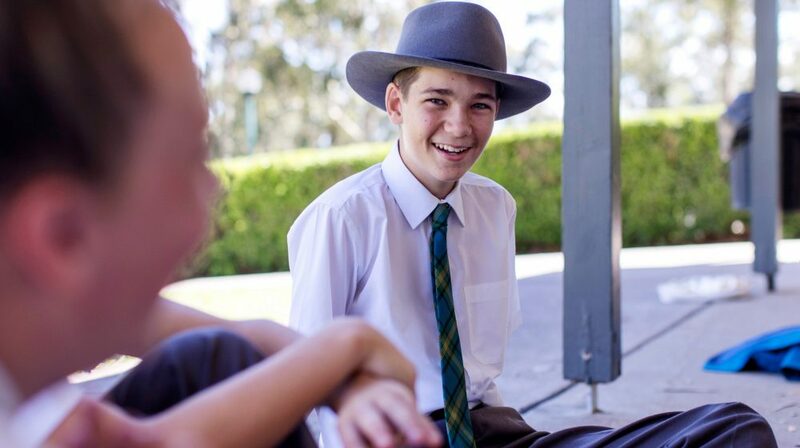 Adolescents recognise and appreciate genuine and authentic people – even if the peer is a bit quirky. It’s also a good idea to make contact with teachers at your child’s school to ask about their perceptions of how your child mixes socially with their peers. Children who have good and healthy relationships with adults are more likely to have good and healthy relationships with their peers. So, it’s important for you to foster a supportive relationship with your child. Try to be an encouraging parent who really listens to your child’s concerns. Your child will not expect you to have all the answers. But it’s likely a listening ear and a measured and moderate response will be welcomed by your adolescent child. If your child perceives you to be fair, that will go a long way to establishing a solid relationship between adult and child. In turn, it will increase the chance your child will have good relationships with his or her peers. Adolescence can be tricky to navigate from a parent’s perspective. Making and maintaining healthy friendships is just one battle of the teenage years. 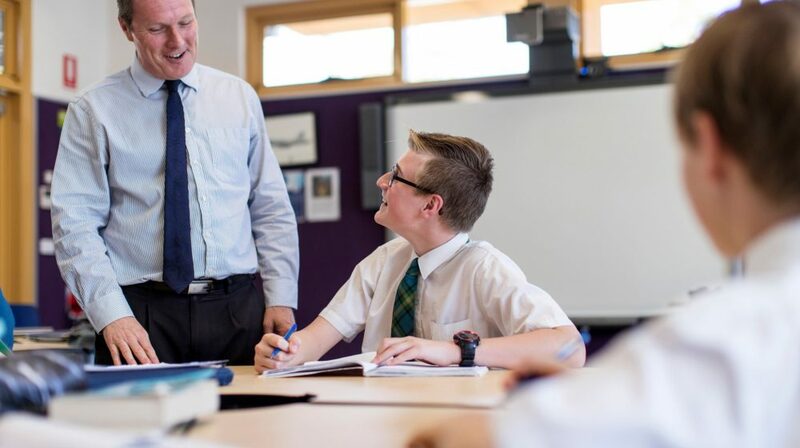 Parental role-modelling, encouragement and seeking support from the school can make this aspect of the adolescent years rewarding and fruitful for many years to come.